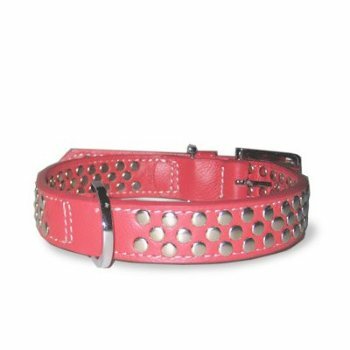 Studded collar is perfect for a girl or boy dog. This collar is constructed of soft sturdy leather and patterned with nickel plated studs and quality hardware. Also available in blue.